Grab This Ultimate Collection Of Web Power Tools And Turn Your Site Into A Cash Snatching, Profit Blasting, Money Machine! Plus Get FULL MASTER RESELL RIGHTS To The Entire Package Including Your Own Copy Of This Order Grabbing Web Site And Resellers Pack . WOW! - I've just spent the last three weeks scouring what seemed like the entire Internet to create the most powerful collection of response boosting power tools and information ever assembled. If you're in the resell rights business and you own direct response web sites then you'll want to check this deal out in full. However, just being great wasn't enough to get onto this list . . . . . . every amazing program in this collection also comes with FULL MASTER RESELL RIGHTS . . .
. . . You're about to discover an array of cutting edge, response boosting, software that you can be using within minutes to pull in more orders, boost profits, increase subscribers and more. Imagine owning the latest, cutting edge marketing software you need to create stunning, autopilot cash machine, web sites at the click of a few buttons. But because you get the rights to resell this collection it's a surefire opportunity to profit . . .
. . . Put them to work on your own web site(s) to gain maximum advantage and then Resell to your own customers for 100% profits. Everything included in this collection comes with Full Master Resell Rights and you'll even get your own copy of this READY MADE, order pulling web site, SOLO AD, CLASSIFIED AD and PICTURE AD to turn this entire package into an instant profit goldmine. 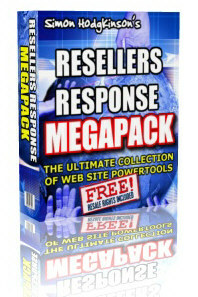 Introducing the RESELLER'S RESPONSE MEGAPACK! A Truly Unique Opportunity! 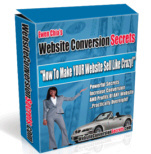 . . . .
'Open the box, delve into these easy to use tools and create order pulling, conversion boosting web sites in an instant . . .
. . . Or simply upload your copy of this ready made sales page and start taking orders right away . 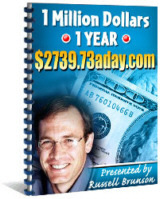 . . "
This is software that you can use to devastating effect and you can resell every program for Instant $$$ Profits. You'll Own . . .
With FULL Master Resale Rights! EXPLODE Your Overall Conversion Ratios By 300%, 400% or more and significantly increase your Subscription rate by at least four fold. This simple and easy to use script will do wonders in your sales letters. Amazingly the script will show them a Dynamically Generated heading and an opt-in subscription form. Different headings will be created dynamically for each search term to impress your visitors. Your site will ALWAYS be exactly what they're looking for! The visitor will see a Dynamically Generated newsletter/mailing list subscription form heading. For example: If they've searched for "CrockPot Recipes", they will see a subscription form heading something like "Looking for 'CrockPot Recipes' ? Subscribe our newsletter". Can you understand how much this will increase your subscription rates by? That's right, you can use this script for your PPC campaign. try the following URL format for this purpose. Is this considered as Search Engine SPAMMING ? Scroll Pops with Full Source Code Master Resale Rights! 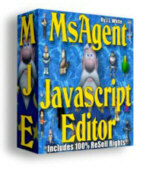 This is a spectacular opportunity to own the 'Master' source rights to an outstanding software program. You'll be able to make Unblockable PopUps, Confirmation windows, Subscriber PopUps, Bookmark windows, Alert Windows and more. And they'll kick into you page exactly when you want them too. As you'll own the Master Source Rights you are free to sell the entire collection, repackage individual tools, make new collections, brand them as your own add them to membership sites. This simple and easy to use script will do wonders for your sales letters. Instantly add amazing entrance & exit transition effects to your web pages. Amaze your site visitors with animated, attention-grabbing, captivating, eye-popping special effects as they enter & exit your web pages. Doors Opening, Wipes, Blinds, Fades, Box In, Pixelate, Spirals and more . . .
add TV-like presentation-styled special effects to your site. PLUS: Choose from 40 different quick pre-exit effects. . . . Each pre-exit effect will give the web page being exited a different appearance during the transition period, which will make your transition effects even more amazing and dazzling. Apply X-Ray Effect To Page, Flip The Entire Page, Apply A coloured Light To Page, Rotate, Apply Transparency and many more . . . This Revolutionary Money Making Marketing Tool is easy and has the power to make you massive profits instead of few cents like Adsense� pays. 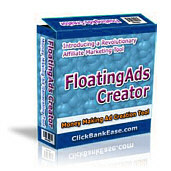 FloatingAds Creator� gives you a new way to make a substantial amount of money from Affiliate Programs. Floating Ads are basically Cash Generating Ads looks similar to Google's Adsense� but with more Sense, 'floating' on your web page. The Ads re-position whenever the page is scrolled. That means, when your website visitor scrolls up and down the page, the ads will not disappear from view. You Get Maximum Exposure and Visitors will see Highly Targeted (content based) Randomly selected Ads in your Website on every visit. Instantly Boosts Your Sales, Opt In Email List, And Conversion Rates By Up To 224% By Adding Float-In Window Technology To Your Websites! 100% of your visitors will see your free ebook offers! The script is equipped with a state-of-the-art link processor that will allow you to program your website links at will. You can set your links to expire on a certain day and time OR you can set them to expire after a certain number of clicks have been received. Your potential clients and customers will go to your sales pages right away if they are interested and you have a "set-in-stone" deadline to go by! will automatically update the payment links in any mini site, ready for you to take payments. Even if there are lots of links scattered around the page, you can update the site instantly, just by pressing a button. The software works by scanning a file and showing you a list of the links in it. You choose a link to replace and enter your own new link. If you use ClickBank as your payment service, your new link will even be created for you. All occurrences of the original link are then replaced instantly and the updated file saved automatically. Talking Pop Up Maker . . .
Transform your site's visitors into buyers and subscribers with this amazing software! Prepare to be Amazed at the response you get from your visitors, with this fiendishly simple program you can take an ordinary webpage and bring it to life Instantly. Click 'n Save . . . Job done! This is the Lazy Reseller's dream come true. . . .
. . . Simply fill in the blanks and create instant ready made, download / thank you pages. That are specially designed to be non Spiderable. With this simple program what used to take anywhere between 30 minutes and an hour will take less than a minute. That's ten super cool programs worth more than $400.00 that within minutes you can be using to devastating effect. It's also ten cutting edge new products that you can sell individually, create new packages with, use as bonuses or sell via your copy of this site. BUT WE'RE NOT DONE YET . . .
As the saying goes 'Knowledge is Power' so whilst I was rounding up the coolest software I've also been stockpiling some of the best marketing ebooks that you simply MUST own and read. This superb guidebook by Ewen Chia reveals the 40 most common pitfalls well-meaning entrepreneurs fall into when trying to create a money-making site. The package also includes an excellent book on writing sales copy written by Bryan Kumar. You get the book, the bonus, solo Ad and a ready made reseller's web site. This is a great book and should be on the reading list of any would be marketer . .
More Customers Who Spend More Money More Frequently. The Package includes a reseller's web site and the following bonus books: Luis Allport's 10 Steps To Killer Copy and 30 Minute Marketing Miracle. 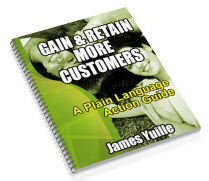 This plain language action guide has been written by James Yuille who clearly demonstrates his 30 year plus business experience. The book uses genuine real life examples to demonstrate how easily customer relationships can be enhanced bring you more long term profits. This really is a good book that applies to both online and offline businesses. Not actually a book but 3 hours of the most powerful information that I have ever heard on a teleconference! Whether your sales goals are to make $100 a month, or 100,000 a month, this information will help you to achieve those goals. Also includes a website that you can customize and simply upload to your server. You can start making money with the package within minutes! 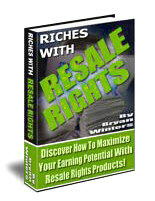 In this special report by Bryan Winters you'll discover how to maximise your earning potential with Resale Rights products. This is a special report with FULL reprint rights so you can sell it at the full price and keep all the money, give it away FREE to get new sign ups to your ezine, or use it as a very valuable and unique free bonus with your own products to get YOUR prospects to BUY something from YOU! This information can save you and your prospects virtually tens of thousands of dollars IF they use it well! And I bet they'll just LOVE you for showing it to them! That's six Must Have ebooks (ten if you include the bonuses) that are worth in excess of $300. Add these books to the software collection we've already covered and you're up to $700+ of genuine value products. But Wait! - We're Still Not Finished . . .
My goal throughout this project has been to create the best Reseller's Package online. I hope you'll agree that the quality of products within this package set it apart from those cheapo 'All You Can Eat' type deals - This deal is a sizzling, prime, juicy steak not a processed, 10% content 90% filler burger. But to convince you to take advantage of this deal - I'm going to add in some extra special, valuable bonuses - By the time you've finished you won't be able to resist this deal . . . Discover How To Insure that your product/service/offer is the best it can be, presented the best way it can be. An exceptional book by one of the Greats. 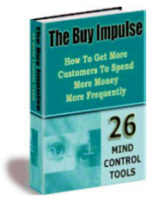 This is powerful stuff, a collection of 29 sales letters written by the worlds beast copywriters for you to study and profit from. Great advice straight from the horses mouth with this one . . . you'll get all of Allen's insider tips and tricks that guide you in setting up a successful Resale Rights business through to big profits. Get 342 Winning headlines you can copy and steal to advertise any business. Discover these amazing Powerwords you should be using in all of your sales letters to inspire people to click, to act and to buy by working on your visitors emotions. 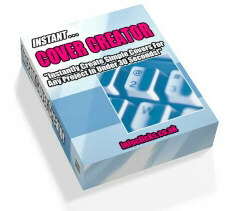 The Lazy Man's Way to Create Highly Sought-After Niche Info Products! How To Create Multiple Streams of Auto Pilot Income with Mini e-Books! How To Position Yourself NOW To Cash In On the Next Big Internet Gold Rush. Know which words you should be using in your meta tags. Can set the program to exclude common words like is, the, then, at, . . . etc. Searches Google for the top 20 sites and puts them in a list, can then select the site and it will grab the sites meta tags. Great tool to see where you are ranking on pages with Google. 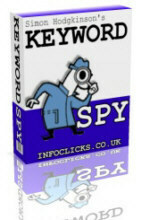 Put up to 4 keyword terms in and a list of domains. You can use the books as free bonuses, offer the books to your subscribers as gifts or use them as incentives to get people to subscribe to your newsletter with the Subscriber Snatcher Software. And Finally A Mystery Bonus! Including: Valuable Discount Vouchers, Brand New Software, List Building Tools, and Powerful Reports. - You'll own all the killer tools and software needed to propel your sales into orbit. Add to this the ebooks, guides, reports and teleconferences packed full of insider info and marketing know how and you simply cannot fail to benefit. You'll own your own copy of this hard to resist web page and you can start telling your customers about the package too. . . . I've discussed this offer with some of my marketing friends to see what they thought would be a reasonable price to charge for the Reseller's Response Collection. And they all came back between $195 and $495 . . . The planned cut off point is just twenty five copies THEN THE PRICE GOES TO $195 (If my previous offers are anything to go by then I don't think it's going to take that long to fill these spots so you cannot afford to leave this page without ordering). Secure Transaction & Immediate Download After Payment. Thanks for visiting & good luck with your promotions. 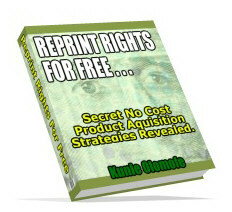 Get Reprint Rights To Products Without Spending A Dime! You have Full Master Resell Rights To This Entire Package. You can elect to simply resell this entire collection from your own web site via the ready made sales site or if you choose you can resell each product individually. You may also rebundle the collection or add additional bonus products to it. The collection itself can be included in membership sites but it cannot be offered via online auction nor can it be offered as a bonus to any other package. It cannot be given away for free and should not be sold for less than the minimum resale price of $147.00. If you wish to promote an opening offer for less than this amount please do not offer more than a 25% discount. Refer to individual product packages for any additional resale terms and conditions. Due to the nature of this collection I cannot offer a refund after purchase - This is for security purposes. However I will provide anyone that requests a refund a credit note to the value of their purchase that can be redeemed against future orders excluding discount promotions. Legal Disclaimer: Any income examples on this website are not intended to represent or guarantee that everyone will achieve the same results. Each individual's success will be determined by his or her desire, dedication, background, effort and motivation to work. There is no guarantee you will duplicate the results stated here. You recognize any business endeavour has inherent risk for loss of capital. Copyright � 2005 Infoclicks.co.uk All Rights Reserved.